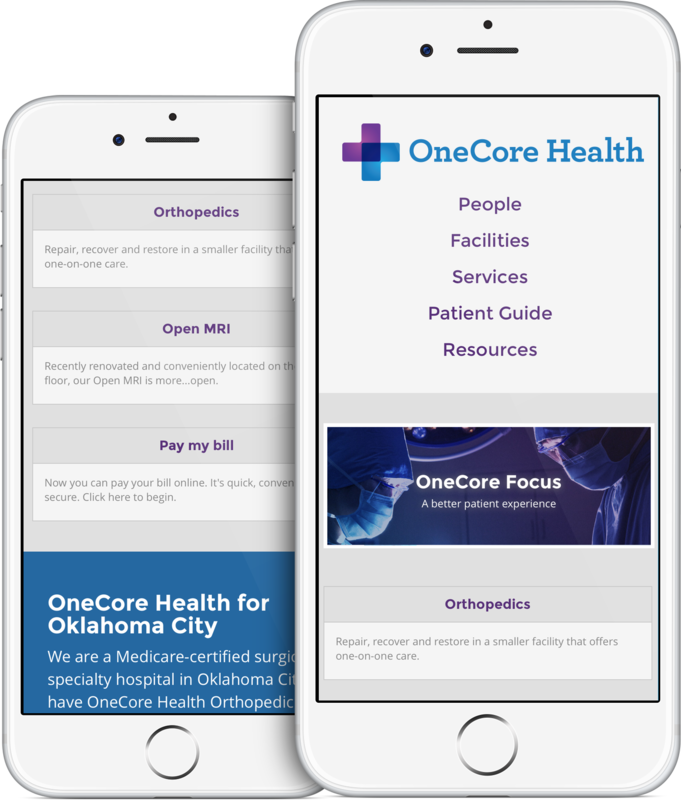 OneCore Health is a new, unique alternative to big, corporate medical facilities. And that’s exactly why we love them. Agent helps companies secure a new name when launching a new brand. The OneCore Health name and brand reflects caregivers collaborating for one core goal: improving patient experience in a one-on-one, positive environment. The + symbol is a unity of purple (care) and blue (trust). This symbol, which is commonly associated with medicine, resembles a plus, or positive, sign. The word “Health” implies total body care, which fits the personality of the organization and the people in it. When we’re building brands, we consider all the places they’ll go. Your website will go everywhere and be seen by anyone on any device. That’s why we made separate versions of the same content for patients and providers of OneCore Health. As you grow, your website can grow with you. Growing businesses have growing needs. Agent scales to meet marketing needs big and small. If you’re looking to start something, start by clicking below.